Key skills: GIS, cartography, data analysis, technical writing and editing, science communication, research. 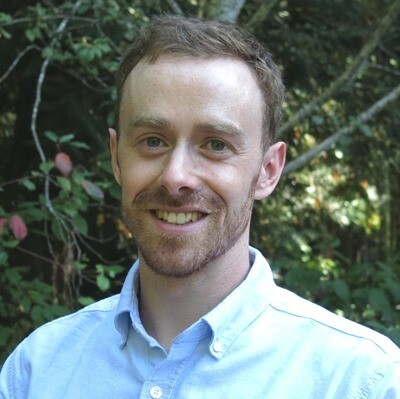 Andrew’s work focuses on providing research, advice, and technical writing skills to address complex natural resource management challenges. Andrew has a multi-disciplined academic and professional background that spans both the natural sciences (biology, ecology) and humanities (anthropology, politics, geography, history). This background helps him develop a holistic understanding of the challenges that he approaches. Andrew writes clearly and efficiently and can effectively communicate complex issues to a broad range of audiences. His work on academic and professional publications has resulted in strong document mastering and copy-editing skills. Throughout his career, he has developed strong GIS skills, focused on spatial data analysis and management and map production. Andrew holds a B.Sc. in Biology from The University of Ottawa where he focused on large-scale ecological processes. For his undergraduate thesis, he developed a model to forecast the spread of an endangered butterfly species. During this time, he worked as a research assistant, planning and conducting fieldwork to document Canadian butterfly biodiversity hotspots. Between 2014 and 2017, Andrew worked as a researcher on traditional use and knowledge studies for numerous Indigenous communities across Canada. Andrew holds a M.Sc. in Northern Studies from Carleton University, where he focused on political, social, and environmental challenges in northern and arctic Canada, and the role of research in addressing those challenges. Andrew recently completed an internship at the Aurora Research Institute where he worked with Gwich’in and Inuvialuit co-management agencies to inform the policy and research agenda of a UNEP and GRID-Arendal sponsored report advocating solutions to changing coastal permafrost. Andrew currently lives in Ottawa where he spends his free time running, hiking, camping, and exploring the great outdoors.